Did you know that most furniture is manufactured to standard measurements? Knowing those standard measurements before you buy or begin to arrange furniture can cut the task down to size. Knowing approximate measurements for a piece can help you start designing your layout for any given room. Although one sofa may look very different from another sofa because of style, color, or upholstery fabric, you may be surprised to know that most sofas share the same approximate measurements. This applies to other pieces of furniture as well. When you have an idea of roughly how big a piece is, you can plan how many pieces to fit in the room, and how to place them so you have a room that flows efficiently. 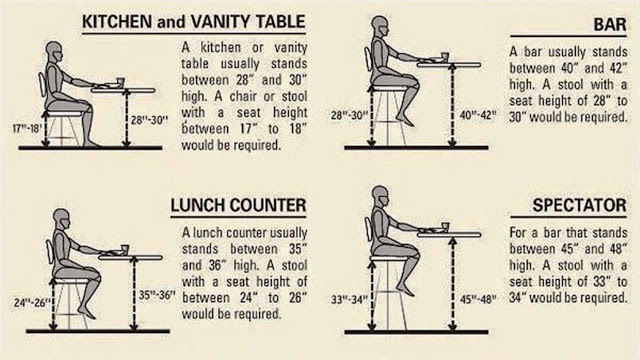 Remember, though that these measurements are meant to be a general guideline only. They are approximate, and there might be slight differences. Use them only as a starting point. Before you actually buy anything make sure you measure it to see if it will fit well inside the space you have.